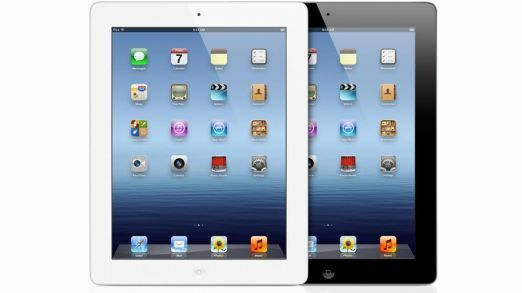 We thought it would be called the iPad 3 or the iPad HD but Apple has simply called the 3rd generation tablet the iPad. If you were an iPad one user, there wasn’t much incentive to upgrade to the iPad 2 but if you haven’t fallen into Apple’s tablet trap, here are 5 reasons why you should consider picking up the new iPad. Rumour became reality when Apple announced that the new iPad has a Retina display. The resolution of the 9.7-inch display is a whopping 2048x 1536 pixels, four times more pixels than the iPad 2. That’s over 3.1-million pixels, higher than a 1080p TV. If you thought the iPad 2’s camera was good for nothing, then a look at the all-new camera on the all-new iPad. The device has a 5-megapixel iSight camera featuring a backside illumination sensor. The camera also houses a number of features such as autofocus, tap to focus, tap to set exposure and built-in face detection. The camera is also capable of shooting video in 1080p full HD. The A5X chip with quad-core graphics drives four times the pixels of iPad 2 yet it delivers the same smoothness and fluidity iPad is known for. Games and apps will not only run smooth and fast but will pop out of the gorgeous display. We all thought Apples voice controlled personal assistant, Siri, would make an appearance on the iPad, but we were left a little disappointed. Instead, Apple has given users the ability to dictate text on the new iPad. 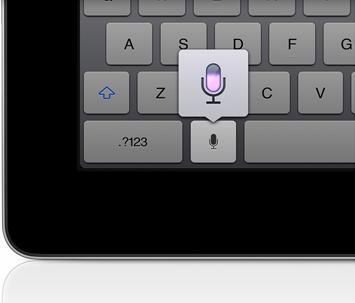 Instead of typing, users can tap the microphone icon on the keyboard, then say what they want to say. Once you are done, tap “Done” andwatch your words appear on screen. Dictation will also works with third-party apps, enabling you to update your Facebook status or Twitter updates with absolute ease. If you thought that the Retina display and new power under the hood would come at the cost of battery life, you are wrong. Apple claims that the new iPad will last for 10-hours, the same as its predecessor, and for about 9 hours if you decide to go all out on 4G (although we in India don’t need to worry about 4G just yet). Should i upgrade my RAM or go for a new processor then upgrade RAM?